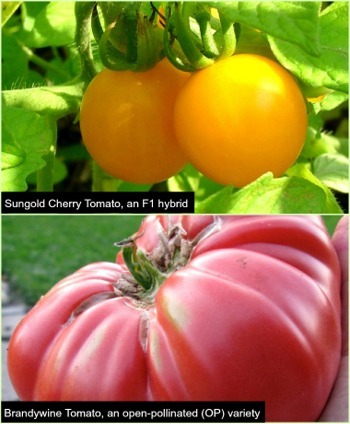 At the end of vegetable descriptions, each variety is labelled "F1" or "OP". This is important only if you plan to save seeds from the plants that you grow to replant in the future. On the other hand, varieties labeled "OP" (short for open-pollinated) will grow true to variety name from seeds produced by the plants that you grow yourself. These seeds may be saved and will produce the same plant in future sowings as long as proper seed-saving procedures are followed. Please refer to www.seedsave.org for detailed seed-saving instructions.